Wigan is a large town in Greater Manchester, roughly halfway between Manchester and Liverpool. It expanded rapidly in the Industrial Revolution and became a major mill town and coal mining area. By the late 19th century there were more than 1,000 pit shafts within five miles of the town centre. Hotel accommodation in Wigan town centre is rather limited. Options include the Wigan Oak Hotel. Large hotels in the surrounding area include the Britannia Wigan and 4-star Kilhey Court. Both are in Standish, a village 4 miles north of the town. The Holiday Inn Express at Leigh Sports Village opened in 2008 as the Park Inn Leigh. It is now one of the busiest hotels in the area. 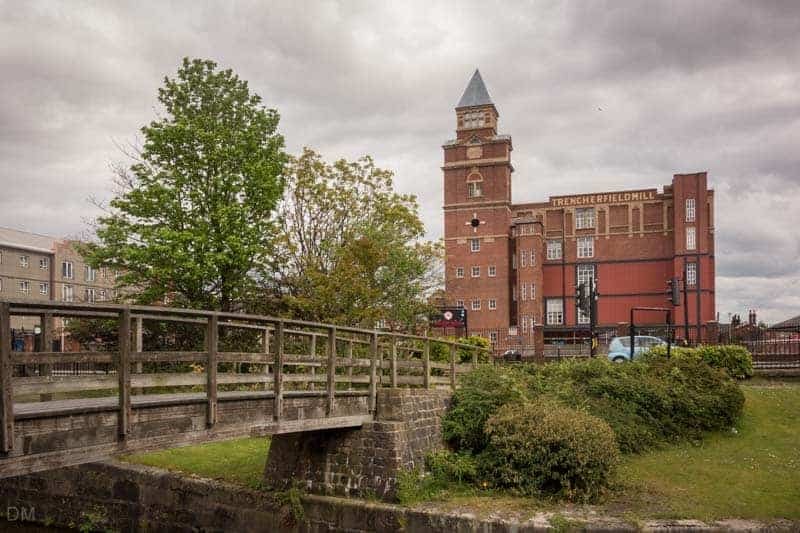 Wigan Pier, a wharf on the Leeds and Liverpool Canal, was made famous by George Orwell’s pivotal book about the northern working class, The Road to Wigan Pier. Orwell did much of his research in Wigan Public Library. 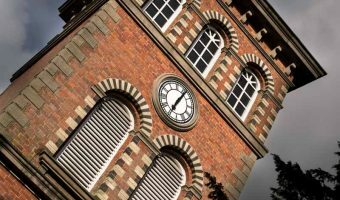 With a grant from the Heritage Lottery Fund, the building reopened in 2010 as the Museum of Wigan Life. The Metropolitan Borough of Wigan, two thirds of which is open land, boasts some fantastic parks and recreation areas. The Haigh Hall estate, once the home of the Earl of Crawford, has been under public ownership since the middle of the 20th century. 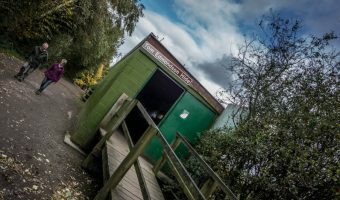 It features over 250 acres of park and woodland, a miniature railway, children’s playground, and cafe. 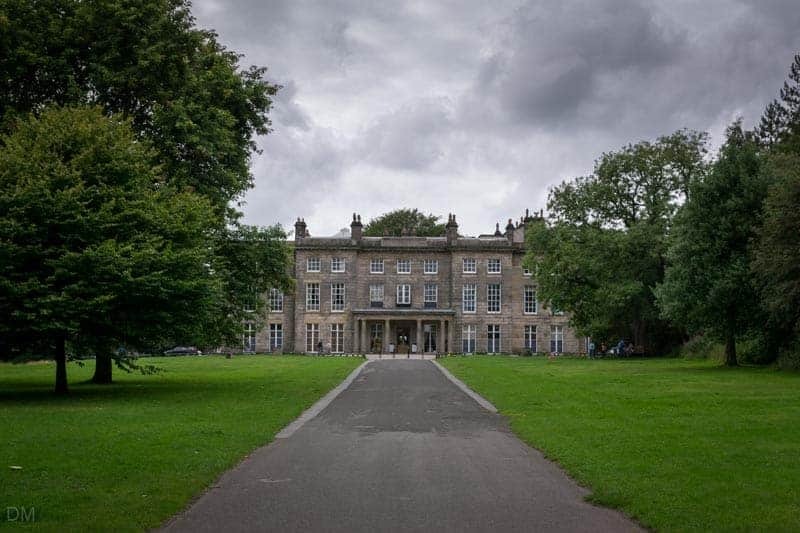 Haigh Hall itself, one of over 200 listed buildings in Wigan, is now a popular wedding venue. Pennington Flash is another popular spot. The centrepiece of this relaxing country park is a 70 hectare lake, created at the turn of the 20th century by coal mining subsidence and subsequent flooding. 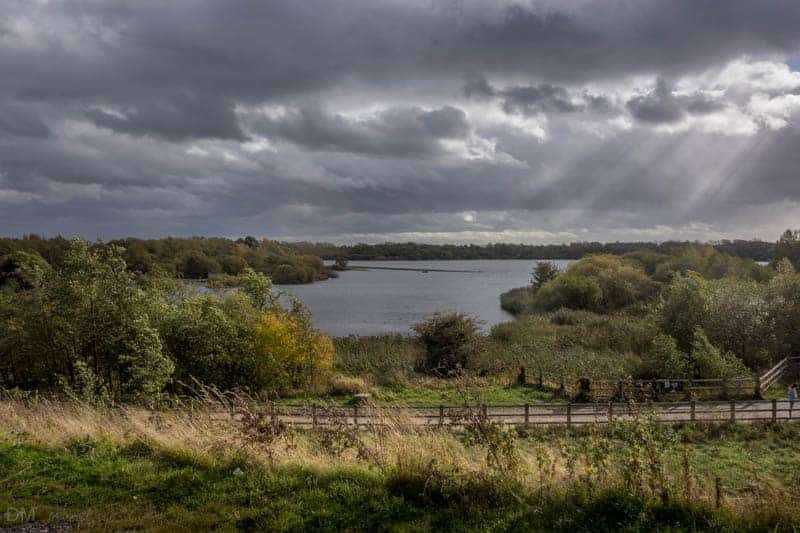 More than 200 species of bird have been spotted here, making it one of the best places for bird watching in North West England. Mesnes Park was Wigan’s first municipal park and in recent years has undergone extensive restoration work. It enjoys a great location on the edge of the town centre. Robin Park is a massive retail and leisure complex. It is home to the DW Stadium (the ground of Wigan Athletic and Wigan Warriors) and the Empire Cinema. Other entertainment options in the area include AMF Bowling in Wigan town centre and Cineworld Leigh at The Loom. Wiganers are frequently referred to as ‘pie eaters’ but the name does not actually derive from their love of pies. It actually dates back to a miners’ strike in 1926 when starvation forced the miners of Wigan to eat ‘humble pie’ and return to work early. Nevertheless, the town is host of one of the UK’s wackiest events; the annual World Pie Eating Championship. Wigan achieved worldwide fame as the home of the Wigan Casino, the home of northern soul music and voted the best nightclub in the world by Billboard magazine. The Grand Arcade shopping centre now stands on its site. 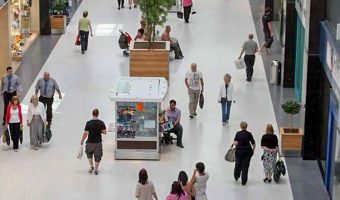 Other retail sites in the Metropolitan Borough of Wigan include the Galleries Shopping Centre and Parsonage Retail Park. Wigan is situated immediately east of the M6 motorway. Drivers coming from the south should leave at Junction 25 and take the A49 to the town centre. Those coming from the north should exit at Junction 27 and take the A5209/A49 to the reach the town centre. Wigan Council operates a number of car parks in the town centre. Large car parks in the town centre include the multi-storey car park at the Galleries Shopping Centre on Mesnes Street (625 spaces – WN1 1QP and the car park on Chapel Lane (WN1 1UP). There are also car parks at the Grand Arcade, Wigan Wallgate Train Station, and Wigan North Western Train Station. Wigan Bus Station is situated in the town centre, adjacent to the Galleries Shopping Centre. In addition to local bus services it is also on the route of several National Express coach services. The National Express coach from Blackpool to London stops at Wigan. Other stops on the route include Preston, Chorley, Leigh, St Helens, Birmingham, Coventry, and Milton Keynes. Wigan is also served by the National Express service from Whitehaven to London. Coaches on this route also stop at Keswick, Grasmere, Ambleside, Windermere, Kendal, Carnforth, Morecambe, Lancaster, Preston, and Birmingham. 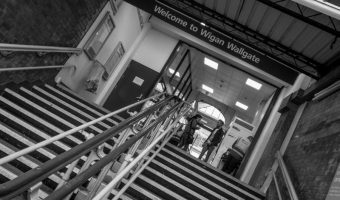 There are two train stations in Wigan town centre; Wigan North Western and Wigan Wallgate. Both are situated on Wallgate, just north of Wigan Pier. Other train stations lying within the Metropolitan Borough of Wigan are Atherton, Hindley, Bryn, Orrell, Gathurst, Pemberton, Hag Fold, and Ince. 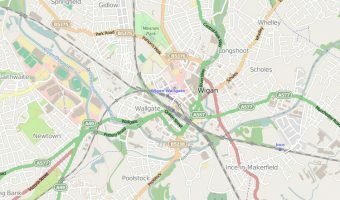 Interactive map of Wigan. Shows hotels, tourist attractions, shopping centres, and more. Shopping centre in Wigan. Stores include Debenhams and Wilko. 250 acres of park and woodland. Popular country park and nature reserve. One of two train stations in Wigan town centre.